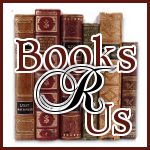 Ginger High- Books R Us: JOIN THE BLOG TOUR DE TROOPS AND GIVE A BOOK TO A SOLDIER. JOIN THE BLOG TOUR DE TROOPS AND GIVE A BOOK TO A SOLDIER. Did you know that over 300 overseas troops have requested books? And the Indie Book Collective is going to make sure they get them. This Veteran's Day weekend, November 11th-14th, any reader can participate in the charity that gives back to the troops! Over 50 authors will be giving away free eBooks, one for each person who leaves a comment on their blog and one for a soldier or veteran. The purpose: To give away as many books as possible to the soldiers and veterans who request them. Just visit the Indie Book Collective blog from November 11th-14th to see each day's authors and join in on the blog hop. You're guaranteed to get tons of books and so will our brave men and women who serve our country with honor!